THIS IS A GUEST POST - SEE CONTACT BELOW. Meet fun Fern! 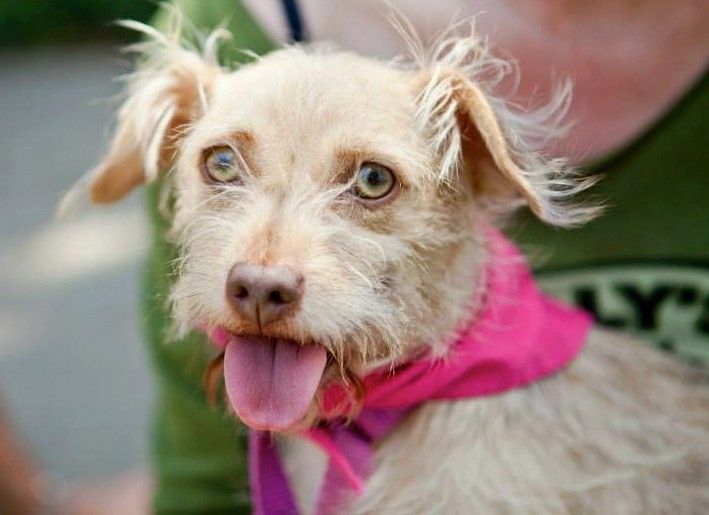 She is an adorable Terrier mix about 7 years young, weighing in at 11 lbs. She can be a bit shy initially but will warm up quickly to treats and walks. Once she trusts you, she is the most loyal and affectionate girl ever. She would love to find a family where she gets a welcoming lap to call her own. She gets along fine with other dogs but she wouldn't mind being the only child either. If you are located in Southern California and you are interested in meeting Fern or have any questions, please email her foster mom at ryoko.matsui.310@gmail.com. Thank you for making adoption your option. The Real Bark is a dog rescue dedicated to helping homeless, abused and abandoned animals. We are committed to providing proper socialization, training and medical care for each animal we save, no matter the cost. We do not specialize in any breed or type of dog. We reach out to and save all types of dogs, regardless of age, breed or medical/behavioral needs. We are committed to transparency with our potential adopters to ensure that once a dog is in our care, they will know nothing but love and safety for the rest of their lives.